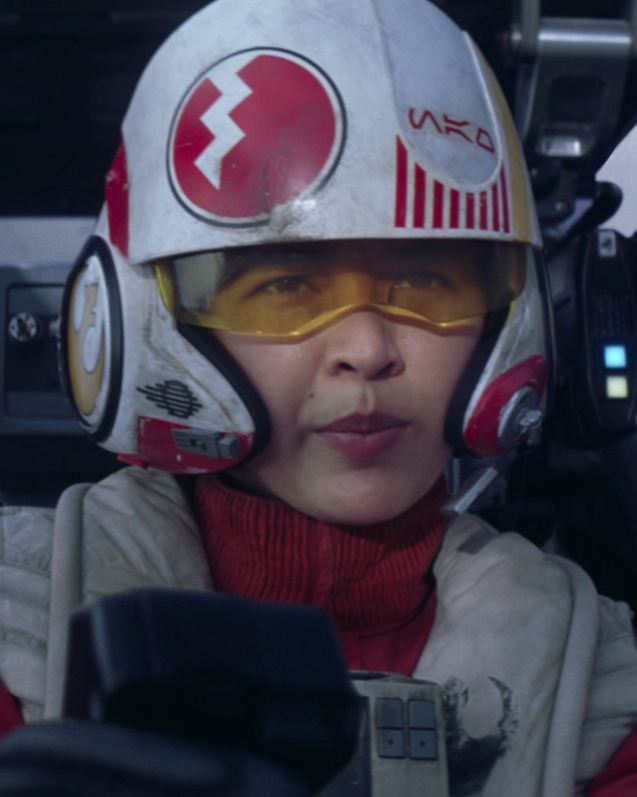 Jessika Pava is a member of the Resistance and a combat pilot in their Starfighter Corps. She was hand-picked for a small group designated Black Squadron by Poe Dameron, and they were tasked with finding Lor San Tekka to recover information on the whereabouts of Luke Skywalker. She proved herself in this group, even among Galactic Civil War veterans like L'ulo L'ampar and Temmin "Snap" Wexley. Black Squadron flew numerous sorties and encountered rogue elements of the First Order the entire way. She even spent some time as their captive, but she managed to escape. Following the Hosnian Catacylsm, Jessika flew with Blue Squadron in the Battle of Starkiller Base. Afterwards, General Leia Organa sent Pava with Wexley and Nunb on a top secret mission. She eventually reunited with the fleet after the events surrounding D'Qar and the Battle of Crait. This page was last modified on 8 April 2019, at 17:44.